Are you sure they are lead? 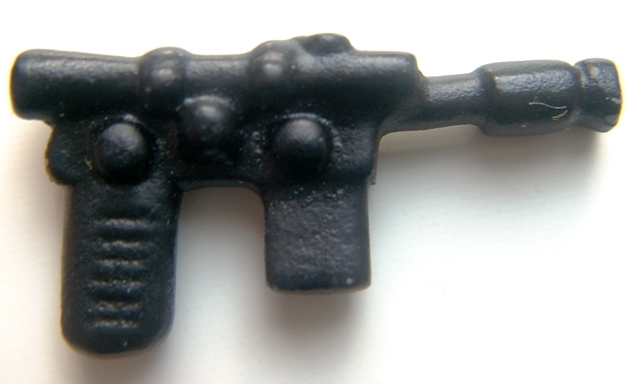 I know some lead weapons have popped up in the past but that is not a very common medium to use. 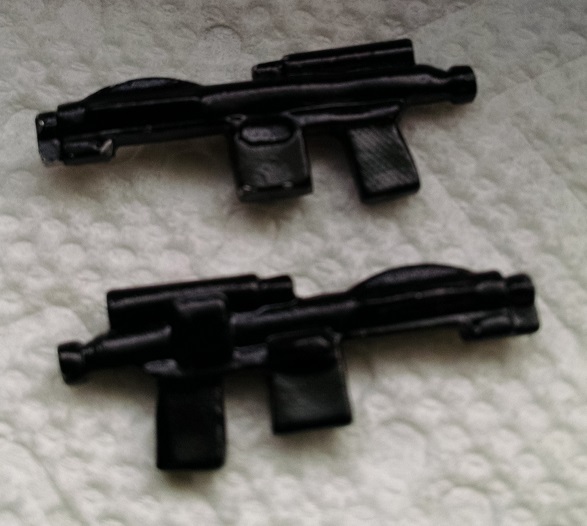 Also are you sure they are current reproductions and not model trem weapons? some pics would be great. As your new you won't be able to post them here, but if you can get them into your gallery a mod can add them here to the thread. If not then use a host site like photobucket and give us a link so we might be able to check them out. Unfortunately I wouldn't be able to help tell if they are authentic model trem, repro of something, or anything else other than what you could find by searching the main gunnery site. AJ (aussiejames), Stefan (walkie), or Paul (artoo-detour) would be able to help much more than me. They can also most likely post the pics for you. I suggest sending pm to these guys along with a photobucket link or if you can upload them to your imperial gunnery gallery they could get them out for you. send me a message with a link to some pictures & I can probably upload them for you. Hi Darth Chappy, I replied to your email I received this morning. Here is the original pic you sent. I've added a lightened-up version of it to pick out the details. I don't know much about the Model Trem line of accessories - hopefully someone with MT knowledge can chime in. As AJ said, lead / metal repros have been around for a while - some appearing even earlier than the common plastic ones we know of. Thanks for putting pics up ,hopefully I can find out more about them. If it could possibly be a model trem I would contact patsy or Martjin or Joe to see. 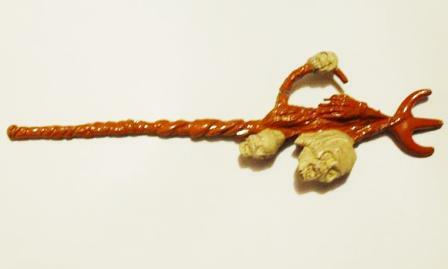 You can kind of see one of the model trem imperial blasters at the bottom of page 1 in the trem thread. I would think for it to be a trem blaster you should be able to trace it pretty easily. I think Trem is what you initially were referring to since you mentioned a model train company. The big thing is Trem pieces are fairly uncommon and rare and the company was a Brazilian company. The odds of a random blaster coming into an American hand from brazil and then lost into a collection where someone could aquire it without the seller knowing what it is seems unlikely. 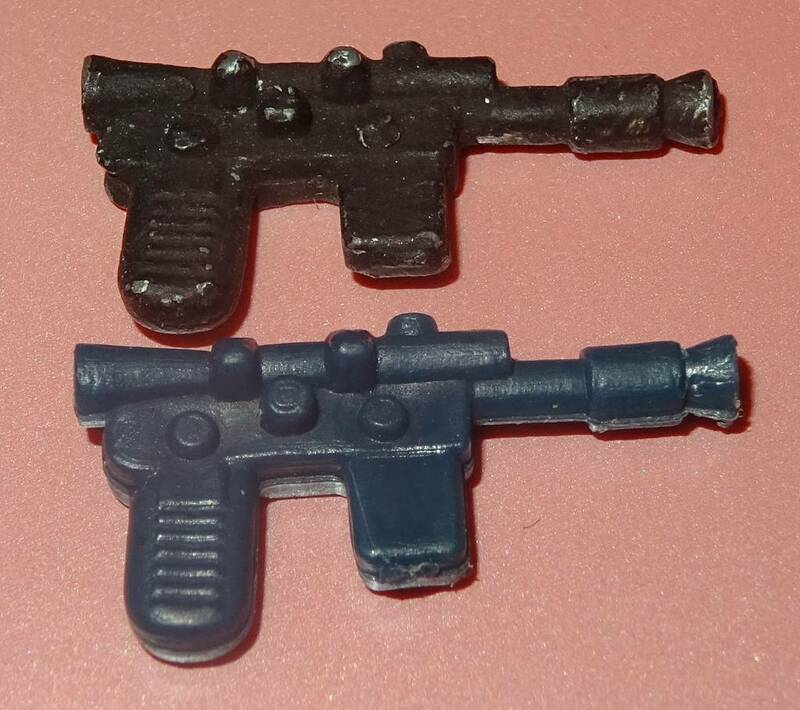 I'm thinking not trem, from pics I've seen anyway, i bought a large lot of vintage from a guy who was a dealer at a large well know flea market near Cincinnati where he bought and sold for 15+ years, these where in with a large amount of weapons,so who knows??? 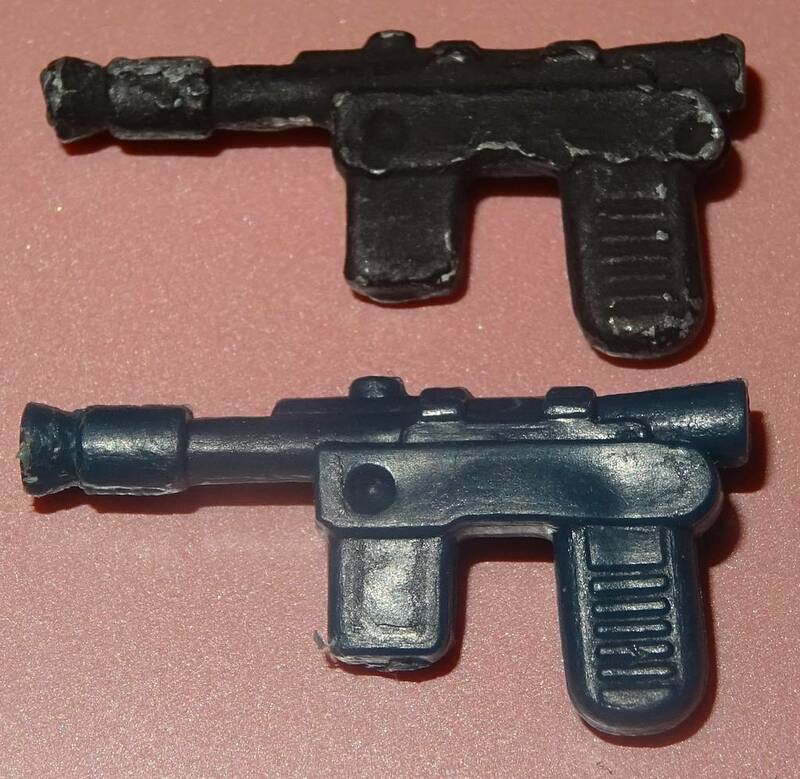 Another one of these lead weapons painted black has surfaced here in Australia. If anyone has any info about the source of these it would be greatly appreciated.